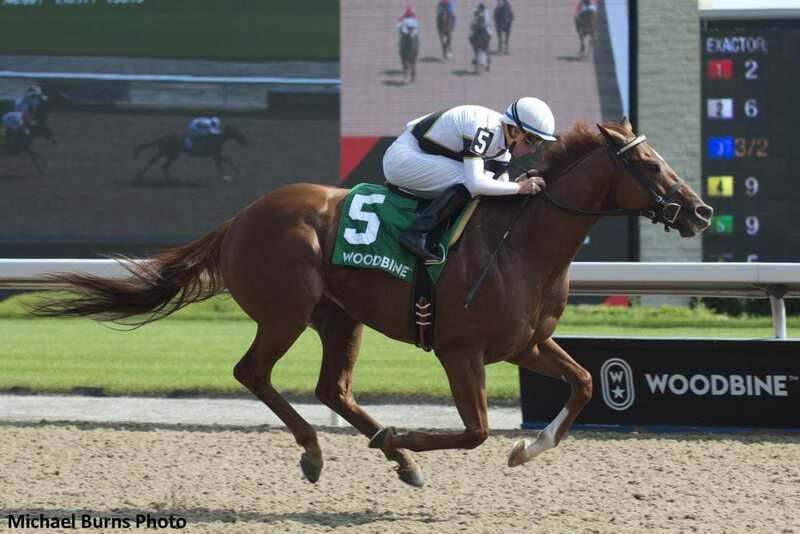 Decorated Soldier, who scored his first career stakes victory last month in the Grade 3 Seagram Cup Stakes on the Tapeta track at Woodbine, showed his affinity for that synthetic surface Sunday night, winning the $200,000 Presque Isle Mile at Presque Isle Downs. Ridden by Willie Martinez, the 5-year-old Proud Citizen gelding owned by Racer's Edge Inc. and Maxis Stable, won by three-quarters of a length as the favorite, covering one mile in 1:35.81 on the fast Tapeta track. He is trained by Norman McKnight. The Presque Isle Mile is part of the MATCH Series in the 3-year-olds and up Dirt—Long division. Don't Be Salty raced off to a long early lead in the Mile, opening up six lengths down the backstretch and setting fast fractions of :23.48 and :45.78 under Pablo Morales. Decorated Humor tracked the front-runner from second and engaged Don't Be Salty at the top of the stretch after six furlongs in 1:09.68. Don't Be Salty battled back, holding a narrow advantage with a furlong to run (the seven furlongs in 1:22.44), but Decorated Soldier wore down the front-runner in the final eighth to win going away. Ghost Hunter closed for second, with Matrooh third in the field of 11. Decorated Soldier improved his record to seven wins from 18 starts. He's won four of his last five (all on Tapeta) since being claimed from Steve Asmussen for $20,000 at Oaklawn Park in April. The Presque Isle Mile victory was worth $120,000 to his owners. Bred in Kentucky by Green Lantern Stables, Decorated Soldier was produced from the Colonial Affair mare, Lakenheath. This entry was posted in Racing and tagged decorated soldier, match series, norman mcknight, presque isle downs, presque isle mile, tapeta, Willie Martinez by Paulick Report Staff. Bookmark the permalink.